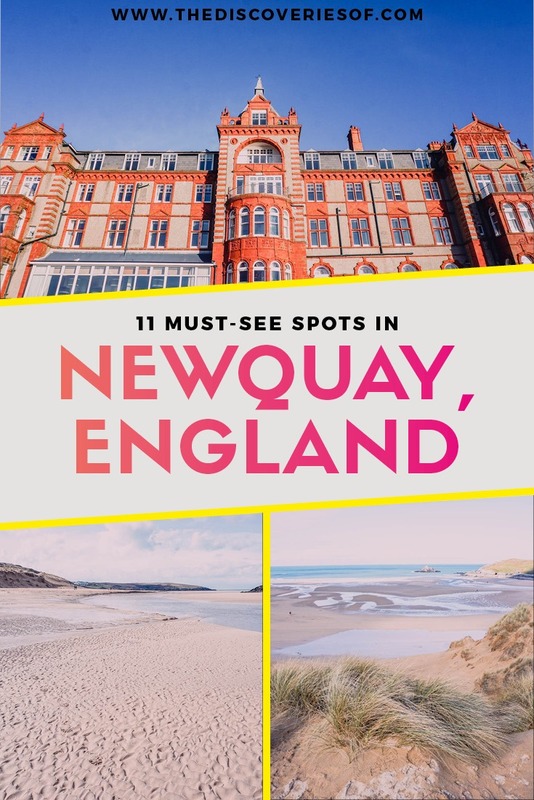 12 Unmissable Things to do in Newquay, Cornwall – The Discoveries Of. 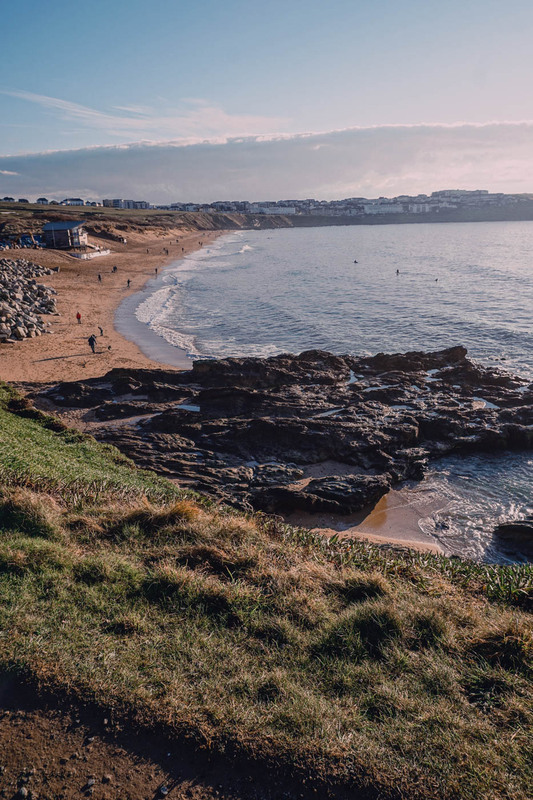 Newquay is one of Cornwall’s most vibrant destinations – boasting miles of beaches, perfect surf and a wealth of attractions, it makes for the perfect base for exploring the area. Here’s my pick of the best things to do in Newquay. Surfing might not be the first thing that you think of when you’re in the UK, but Cornwall is the country’s surfing paradise. Newquay is one of the biggest surfing destinations in the UK – so much so that a spot of surfing in Cornwall should be at the top of your British bucket list. Surfers can take their pick from a number of beaches such as Tolcarne Beach, Towan Beach, Fistral Beach, Great Western Beach and Watergate Bay, Crantock Beach and Lusty Glaze – each promising consistent surf conditions and unique wave spots you’ll want to surf time and time again. Never picked up a surfboard before? There are several surf schools in Newquay to show you the ropes – Fistral Beach Surf School is the only school located on the famous Fistral Beach and offers private and group lessons to help you work on your skills. Though not in Newquay itself (it’s about three miles out of town), you shouldn’t miss a trip to Watergate Bay during your trip to Newquay. During the summer, the beach is every sun-lover’s dream – two miles of soft fine sand that is perfect for soaking up a few rays or a family day out in Cornwall. Like many of Newquay’s beaches, there’s consistently good surf to tempt you into the water. Watergate Bay tends to be quieter than some of Newquay’s more central beaches, so it’s a great choice if you are want to try and escape the crowds during the peak summer months. 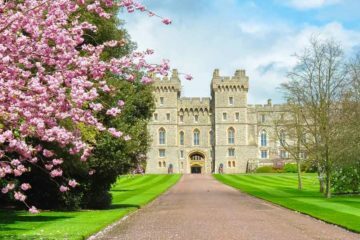 Cornwall’s warmer climate means there is no shortage of beautiful gardens for you to go and explore during your trip. 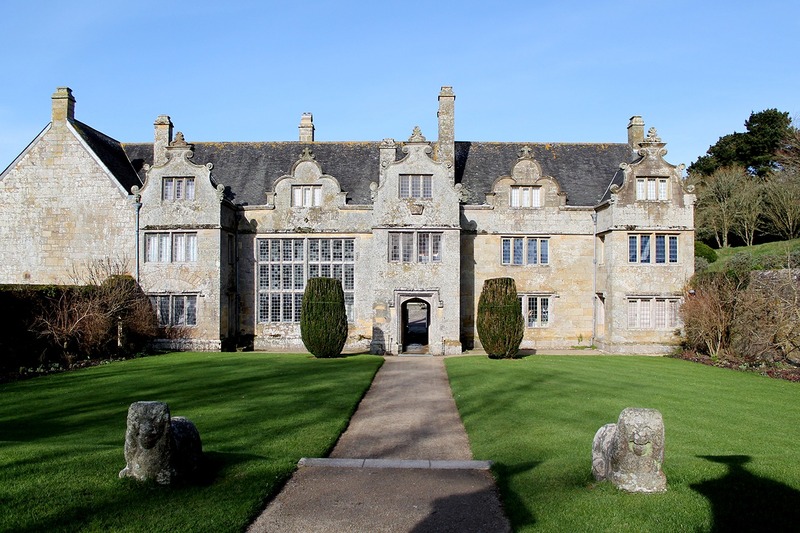 National Trust-owned Trerice is a charming Elizabethan manor house with beautiful gardens perched on the outskirts of Newquay. One of the picks in Cornwall 365’s wonderful Find & Seek book, Trerice is at the top of many visitors lists for their holiday in Newquay. Spend some time walking around the picture-perfect gardens, including the striking Knot Garden, before heading inside to learn about the history of the house and its inhabitants over the centuries. What’s more – although you’ll have to skip the gardens, I’d choose a visit to Trerice manor as one of the best thing to do in Newquay when it rains. Another of the town’s fabulous beaches, Porth Beach is one of the best things to do in Newquay. Boasting a picture-perfect wide stretch of sand, when the tide is out, Porth Beach is also a great place to go rock pooling. Head out on the narrow footbridge to Porth Island for spectacular views – while you’re there, be sure to keep your eyes open for Trevelgue Head, an ancient cliff fort and settlement. There’s a seasonal ban on surfing between 10am-7pm during the summer months, so Porth Beach a good choice if you want to have a splash about in the sea without ducking and dodging around surfboards too. On a bright, sunny day in Newquay, you could be forgiven for thinking that you’d been transported to Australia. What could be more fitting than popping into an Australian-British restaurant? 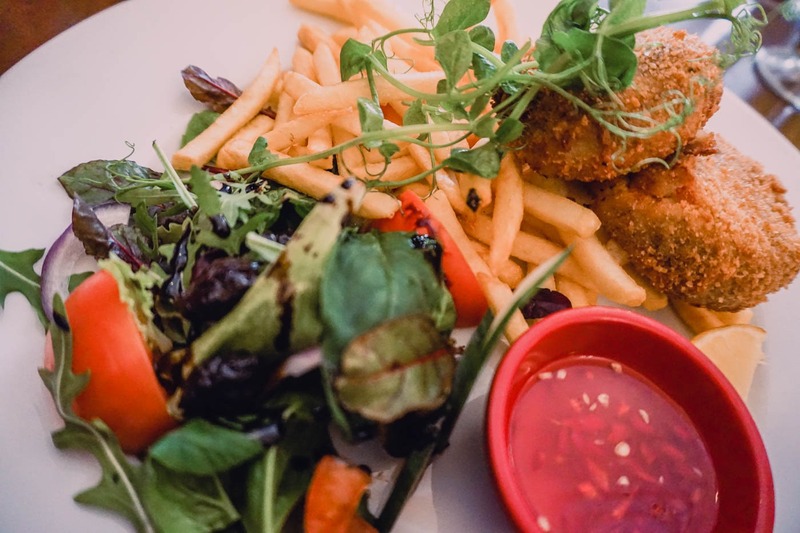 Bush Pepper is one of Newquay’s culinary treasures – a contemporary restaurant serving the freshest seasonal produce in the centre of town, it’s the perfect place to enjoy a tasty meal during your Cornwall trip. 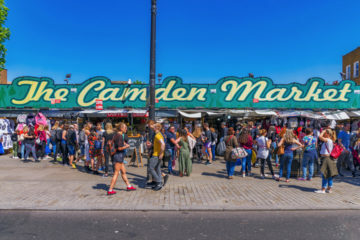 The ever-changing menu features dishes such as the crab and fish cakes with a sweet chilli sauce and courgette, spinach and pesto risotto – and yes, everything is as tasty as it sounds. Looking for things to do in Newquay at night? A jaunt to Tom Thumb should be at the top of your list. 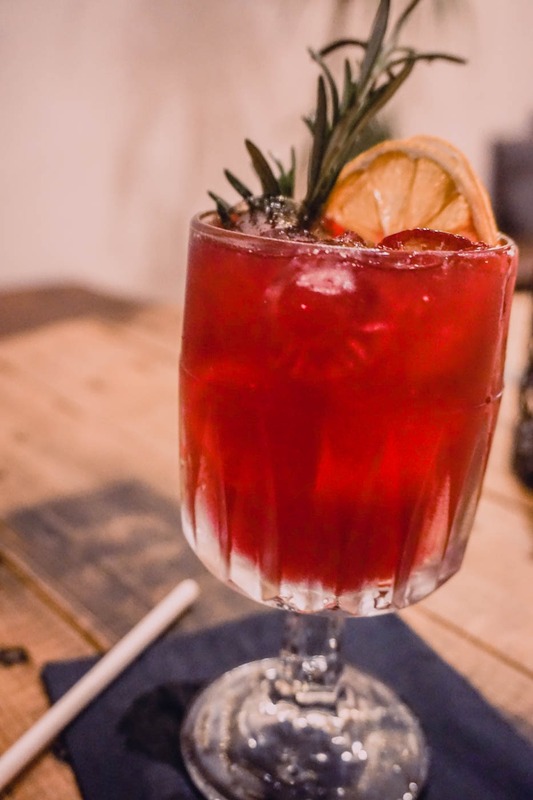 OK, it’s no secret that I love a well-made cocktail – so there was no way that I wasn’t going to make a beeline for Tom Thumb, a cool cocktail bar in the centre of Newquay. Set up by two guys, Jamie and Paul, the bar is one of Newquay’s secret treasures. 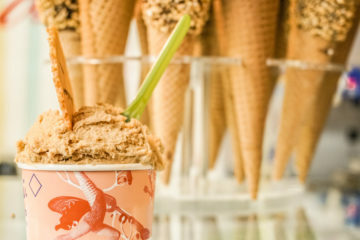 The seasonal menu features a range of cocktails, some familiar – others completely new, each one expertly made by their mixologists. 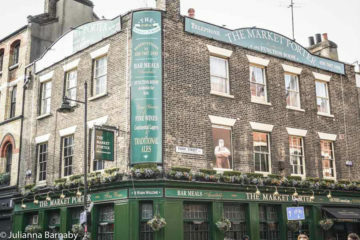 All of Tom Thumb’s vermouths, syrups and infusions are made in-house, and the garnishes are grown in-house – no detail has been overlooked in their mission to create the perfect cocktail. The only difficulty you’re likely to have is deciding which one’s your favourite. Stretch out your tensions and work on your poses at Oceanflow Yoga. Located in a sprawling Victorian building overlooking Fistral Bay, the views are reason enough to visit this friendly yoga studio in Newquay. Add to that a wide roster of classes, ranging from Hot Yoga to Energise and Sunrise Flow and you can see why it’s been voted as the best yoga studio in Cornwall. Whether you’re a complete beginner or practice every day, the stellar teachers and welcoming classes make this the perfect spot to unwind after an early morning surf or energise your body ready for the day ahead. It’s pretty unlikely that you’re going to have time to walk the whole of the South West Coast Path during your time in Newquay – it’s 630 miles after all. But you should definitely try to squeeze in a walk or two on the sections surrounding the town. 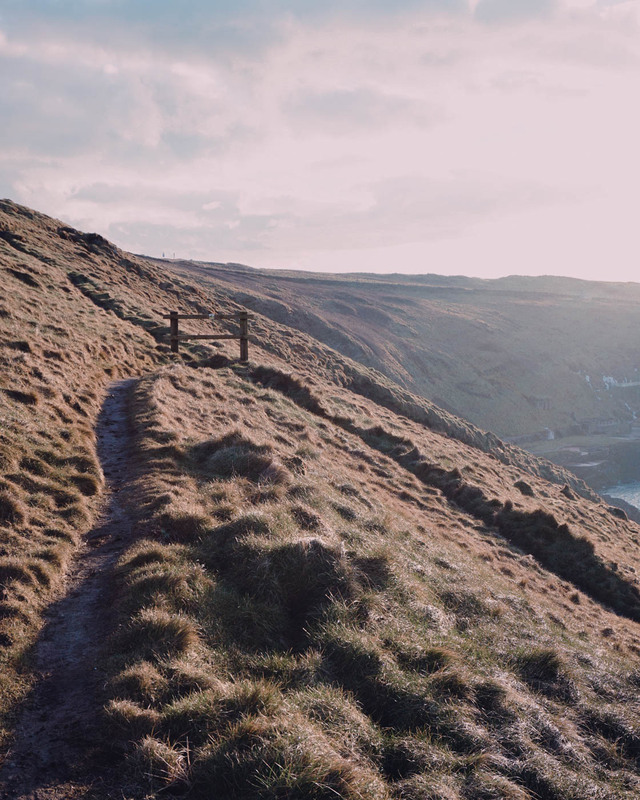 The Newquay section of the path wends its way between the region’s stunning beaches, via coastal sand dunes, bluffs and (of course) some spectacular scenery along the way. You can’t come to Cornwall without having a Cornish pasty. If that’s not already a rule, it certainly should be. Tuck into the pasties at the award-winning Cornish Bakery – filled with Cornish-sourced fare, they’re a tasty treat for lunch on the go. I think that Crantock is my favourite of all of Newquay’s beaches. Situated a short hop (or a beautiful walk across the Gannel Estuary – see below) outside of town, Crantock is one of Newquay’s quieter beaches. So what’s so special? 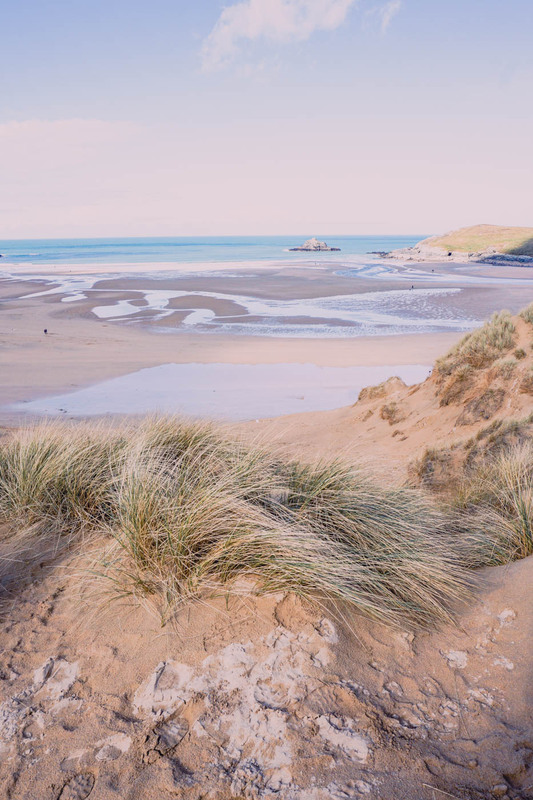 Framed by steep sandy dunes, Crantock Beach’s sheltered location can feel like a million miles away from the hustle and bustle of some of the more central spots. Its crystal-clear waters are a watersports haven – and a popular place for surfers and windsurfers – you can even try your hand at canoeing if it takes your fancy. Get your timing right and you might be lucky enough to spot the schools of dolphins that sometimes make an appearance just out to sea. Tucked just behind Crantock, Gannel Estuary is a tidal river north of Pentire Point. It’s a beautiful place, with walks and wildlife spotting opportunities that shouldn’t be missed from your list of things to do in Newquay. 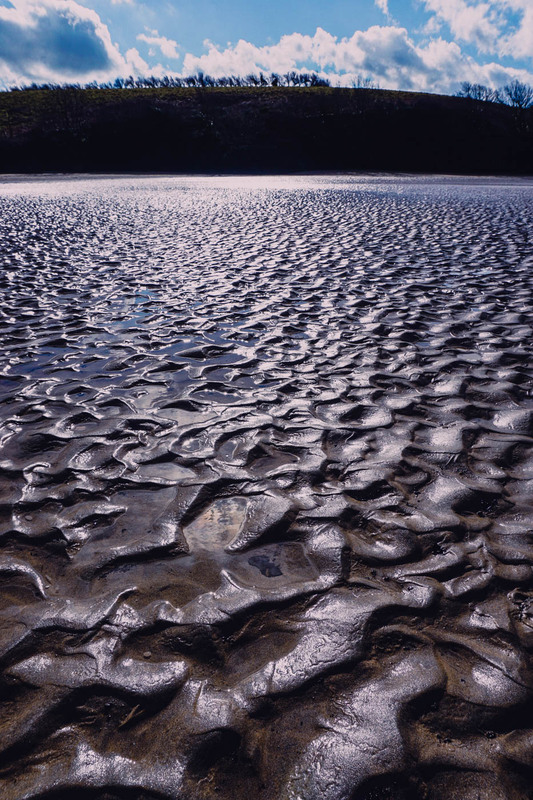 The Estuary is a habitat for all kinds of plants and animals – including hundreds of species of birds who shelter from harsh winters in its environs and feed on the estuary’s rich marine life. The ever-changing tides mean that you need to be careful when you’re planning your trip – at high tide, the two footbridges crossing the estuary are submerged, making it more difficult for you to get back from the beach side to Newquay on foot. Chances are that if you’ve ever been to Newquay before, you’ll have noticed an imposing building towering over headland next to Fistral Beach. That building is The Headland Hotel. 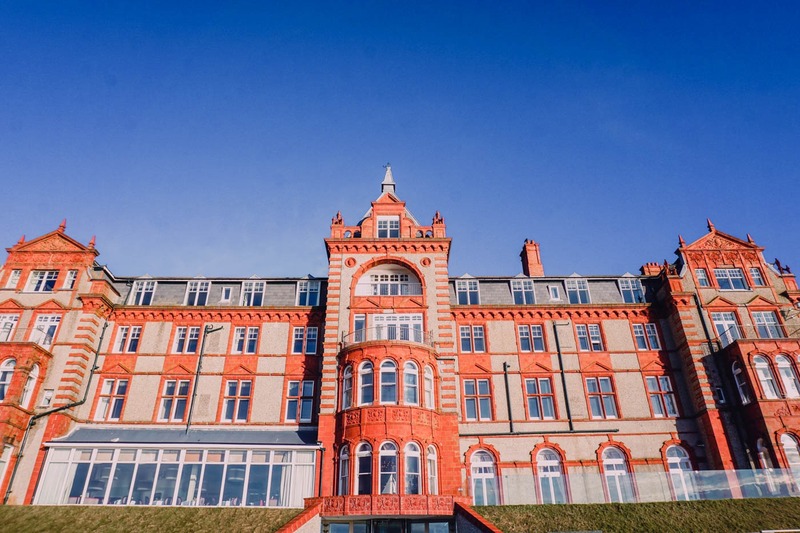 A glorious Victorian hotel, the Headland has been the destination of choice for royalty, celebrities and discerning guests since it first opened its doors in 1900 and is no less inviting today. 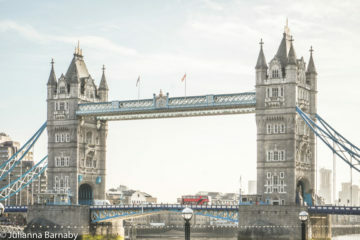 This family-owned independent hotel has so many stories to tell – from the glamorous balls and orchestras of yesteryear, to its tenure as an RAF Hospital during WWII, it even made a starring appearance as the location in which the well-loved adaptation of Roald Dahl’s The Witches was filmed. 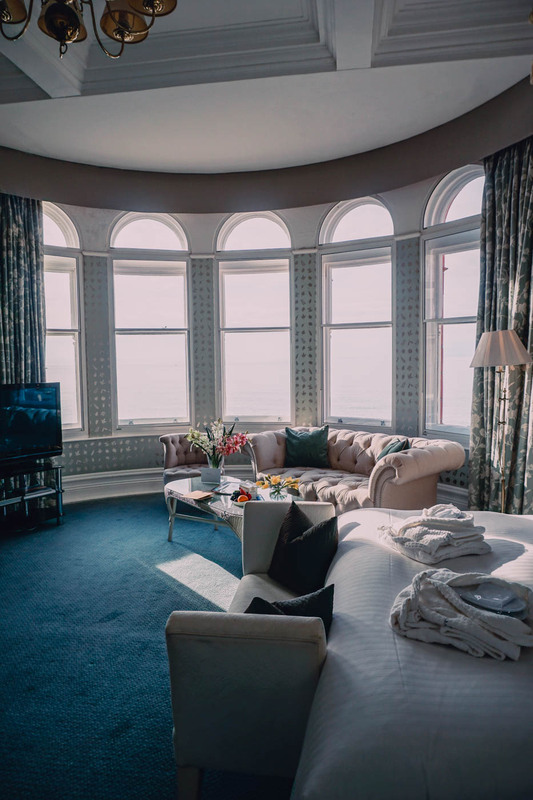 Though it’s brimming with history, The Headland’s decor has been tastefully updated – maintaining many of the building’s beautiful original features but with all the fittings expected of a contemporary luxury hotel. Our room came complete with stunning views over Fistral Beach and out to sea, gorgeous decor and one of the most comfortable beds I’ve had the pleasure of sleeping in. Thanks for some great trip ideas! A real pleasure – I hope you are going to Cornwall soon.